Tap on a song you want to purchase, then tap the download button. 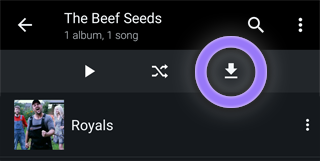 On a purchased song or album, tap the download button. Place your music files into your iTunes library. 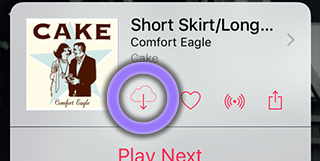 Sync your iTunes library with your phone or tablet. Navigate to your phone or tablet's storage and place your music files in the media or music folder.